Lotus Herbals White Glow Nourishing Night Crème Review: Is it Effective? Lotus Herbals claims that its White Glow line is the solution for aging skin beginning to develop discolorations. It is said to deeply nourishing, quenching the skin as it penetrates down into pores. They say it reduces the appearances of age spots as well as scars from blemishes. It helps lift away dead skin cells allowing radiant, supple skin to shine through. It is advertised as effective enough to treat those suffering from extreme hyperpigmentation. Lotus Herbals says that its Nourishing Night Crème revitalizes tired dull, skin with a blend of powerful botanicals. This formula was designed exclusively to hydrate the skin while whitening and brightening it for a flawless look. Take a look at the science behind the company claims. 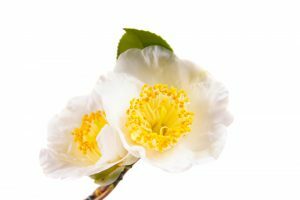 Camellia is also called Tree Seed and used to create Asian white tea blend. It is also included in many personal care products for its moisturizing and conditioning properties. Uva-Ursi, or Bearberry, contains an element called alpha-arbutin which once applied the skin breaks down to form a natural version of hydroquinone. This is a known bleaching agent which whitens skin and age spots. Synthetic hydroquinone is often used to effectively treat hyperpigmentation. Mulberry offers powerful phenyflavones which detoxify the skin, cleanse the pores, and rejuvenated it on a cellular level. It is said to contain blemish fighting, skin tone evening, and moisturizing properties. Vitis vinifera is better known as grape seed extract and it possesses AHA or alpha hydroxy acids. It is said to exfoliate dead skin cells while quenching the new healthy skin hiding below and lighten dark marks. Milk enzymes have been used to beautify skin for thousands of years. There is modern science behind this practice today. Milk enzymes are also a form of alpha hydroxy acid which is known to whiten skin, in part, through deep exfoliation. There are very positive reviews posted for this formula. The active ingredients have been individually examined for efficacy. This product is not extremely expensive. There are no clinical trials to review for the end product. Amazon does not keep regularly stocked for the United States. There is no money back guarantee and customers cannot exchange the product once they receive it unless there is a manufacturer defect. Many websites seem to carry it, but it is difficult to find one that has it in stock. The Lotus Herbals website does provide an order form and it is anywhere from $5 to $30 for a 2-ounce jar. This product may actually offer benefits and does not seem to be expensive. On the other hand, information is difficult to find and most websites say that there is no estimate for when it will be in stock again. There is no money back guarantee which indicates that this is an unwise purchase.